You Are Here: Home » Business » How Did Taxi Cabbing Come About? How Did Taxi Cabbing Come About? Though you may not use taxicabs on a regular basis, you may have wondered how they first originated. Even if you live in a community in which most residents own and drive their own car, taxicabs still play a vital role in the transportation infrastructure of the U.S. and in many countries worldwide. Below is a brief history of taxi cabbing and the current role taxis play in modern society. Taxis cabbing started in the late 1800s in New York City. This was a time when most people traveled by horse-drawn carriages and automobiles were beginning to appear on city streets. Since automobiles were a luxury that many could not afford, many automobile owners began renting out their cars for transportation. By 1899, New York City had close to 100 taxicabs on the street. Gasoline-powered automobiles were first produced in the early 1900s, prompting the New York Taxicab Company to import 600 electric power automobiles from France. This cab fleet was painted red and green; they were the first to use meters rather than flat rate fares. 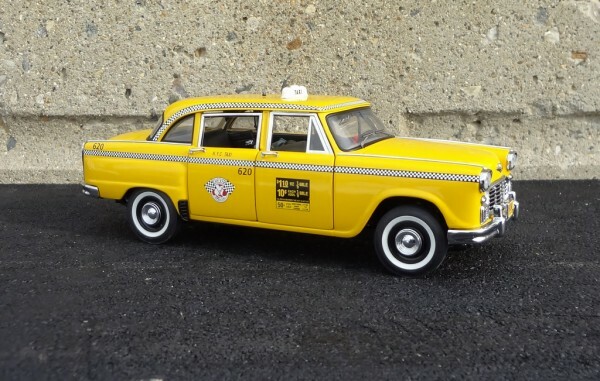 Many of these early companies were owned directly by automotive manufacturers such as General Motors and Ford Motor Company, however, the largest and most successful company was the Checker Cab Company, which had the yellow cab with black and white checkered pattern. The yellow color of cabs grew in popularity and many taxi companies still opt for yellow today. While taxi cabbing began in New York, other cities alike began offering taxi services to locals who needed faster and more efficient transportation than walking, buggies, or long bus rides with multiple stops. Over the next several decades, there were many changes to the taxicab industry. New York City had approximately 12,000 taxis by 1950. In 1971, the Taxi and Limousine Commission was founded to protect taxi and livery drivers, which ultimately led to the bulletproof partitions that most taxis have to protect drivers from unruly passengers. The 1980s brought strict monitoring and high-priced taxicab medallions, which was a significant expense for drivers, yet helped to regulate and identify legitimate registered drivers. The taxis of today come in all shapes and sizes–from energy efficient models, to the standard yellow, minivans, wheelchair accessible, and companies trying to distinguish themselves with different colors of paint and exterior designs. Many taxis have televisions in the backseat, and debt/credit card processing in the backseat. Advertising on taxicabs has become a coveted spot for many businesses, particularly for those in large cities such as New York, Chicago, Las Vegas, and Los Angeles. While cities such as New York and Chicago allow riders to hail cabs, most cities require passengers to call ahead and reserve their cab. In large cities, cabs can be used by individuals to go short distances. Then passengers don’t have to walk, take public transportation to, or hassle with paying for and finding parking. Cabs can be found at almost any airport across the nation, and are still an integral part of many cities transportation systems. In an effort to reduce carbon emissions, there are many taxicab alternatives that are popping up in many cities such as bicycle cabs, car share programs, and ride share programs. Whether you utilize cabs regularly or occasionally they still play a vital role in modern transportation. Hunter Matheson is a freelance writer based in Fresno, CA. Readers curious about the history of taxi cabs probably also would like to know how to find a quality taxi service, and toward this end Hunter recommends Stita Taxi. Image credit goes to JCarnutz.